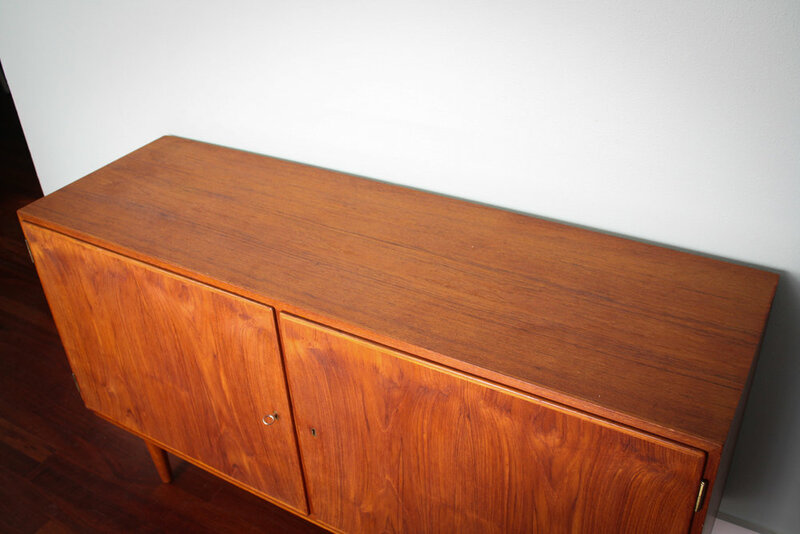 This Danish modern, teak sideboard, is the perfect size for your space. Not too big, not too small. As Golidlocks would say, it's just right. 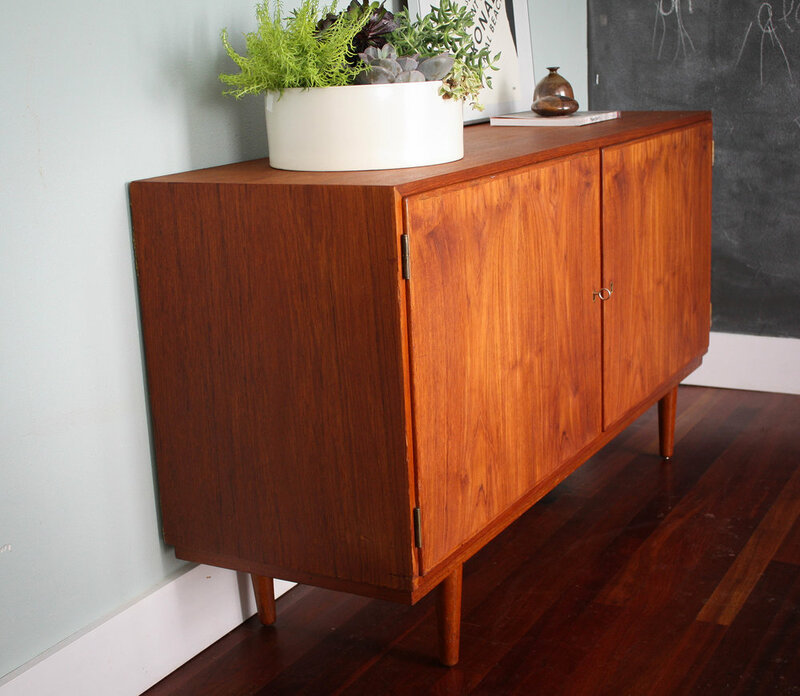 Features include two generous hinged, locking doors that reveal interior cabinet space. On the right, there are two shelves that can be adjusted to a variety of heights or removed completely. On the left are three slide out drawers (one felt lined) that can also be arranged to various spaces. Most importantly we have the original skeleton key that locks and unlocks the cabinets. 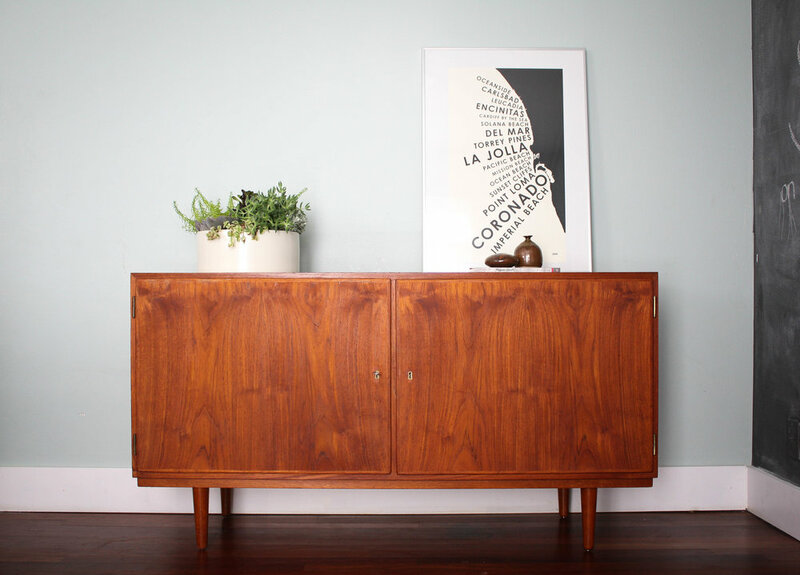 Quintessential tapered teak legs keep the sideboard feeling light and airy.